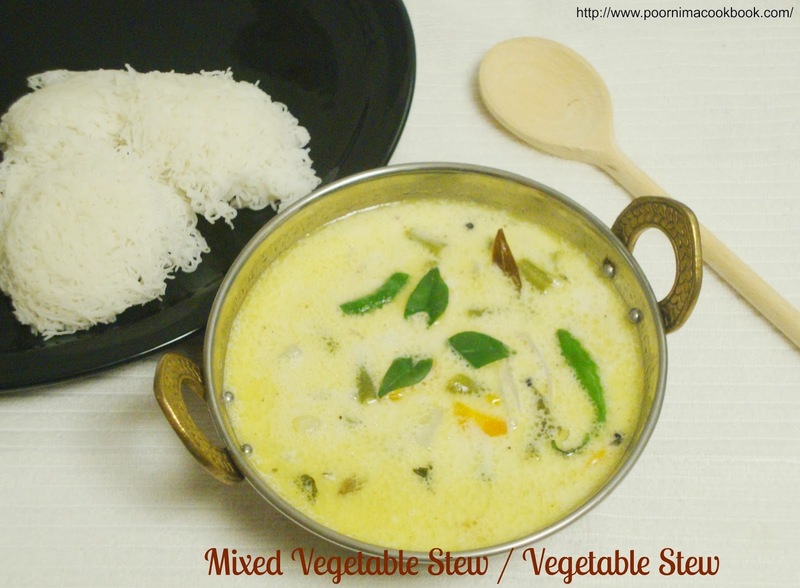 Vegetable stew is a simple, easy to make and also one of the delicious dish from Kerala. 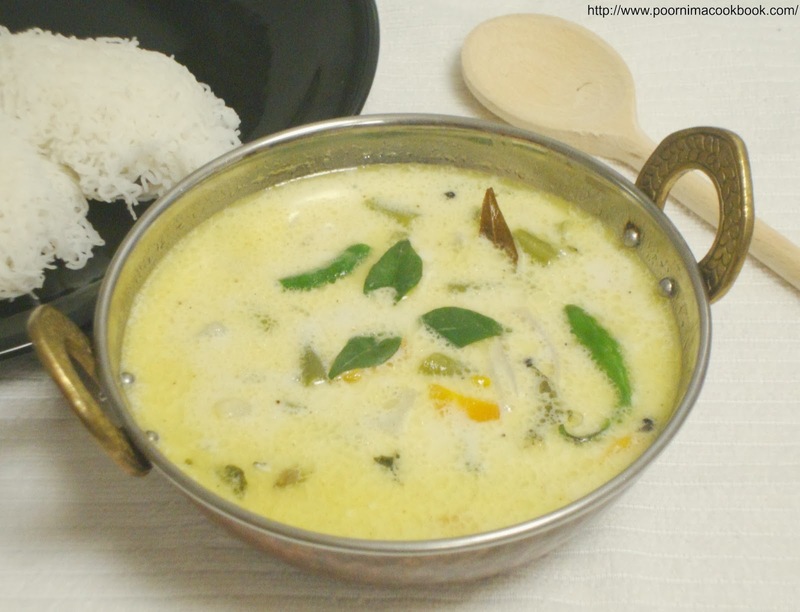 This mild flavored dish is the best accompaniment for appam and idiyappam ; you may also have this as side dish for dosa and idli! Chop the carrots and beans into bite sized pieces and keep aside. Peel the cooked potatoes and chop into pieces and keep aside. 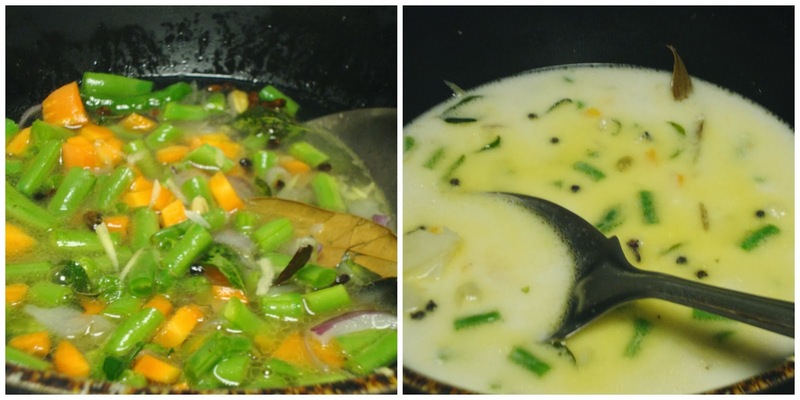 Heat oil in a pan; add cinnamon, cloves, cardamom, bay leaf, curry leaves and peppercorns . 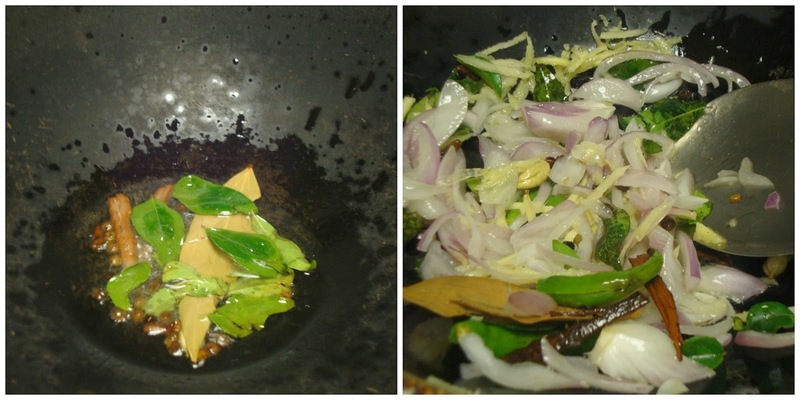 After it splutters add finely chopped onion and green chillies. Fry till the onion becomes translucent. After that add carrot and beans along with water; allow it to cook. Once it is half cooked; add the potatoes and thin coconut milk. Close the pan with the lid and cook in medium flame for about 10 minutes. 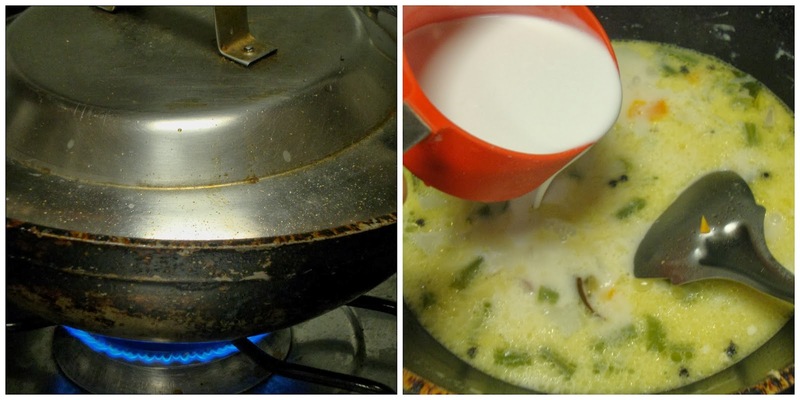 Once the vegetables cooked completely, add thick coconut milk. Let it cook for another 2 to 3 minutes in a low flame and switch off the gas. 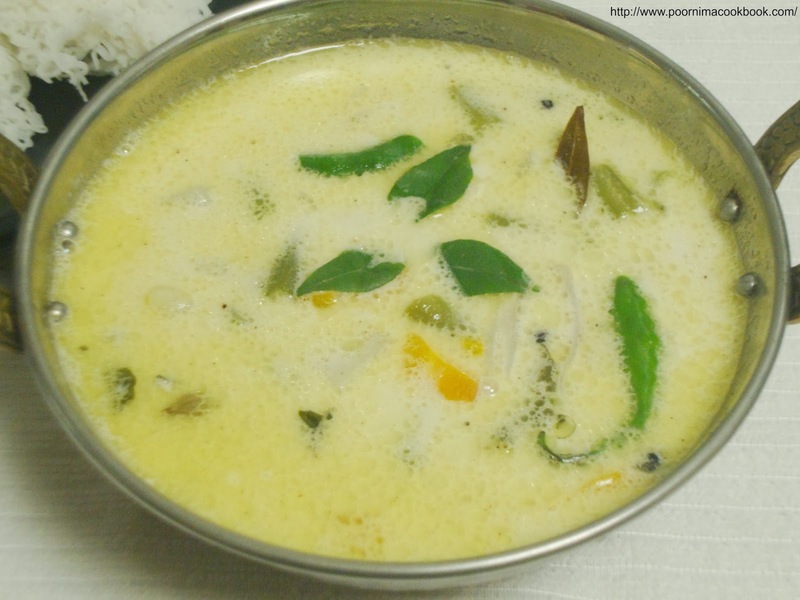 Garnish with curry leaves and serve hot with Appam or Idiyappam (string hoppers). You can also add pepper powder to increase the spice level. You can use cauliflower and peas to prepare this dish. wow such an healthy and inviting stew :) Love the mild flavors added !! This looks so good! So delicious! Yummy stew, looks very creamy.. drooling here!